Pauatahanui Inlet (Arm) of Porirua Harbour at low tide showing mud flats. Aerial view with Moorhouse Point and Ivey Bay right, and Camborne left. 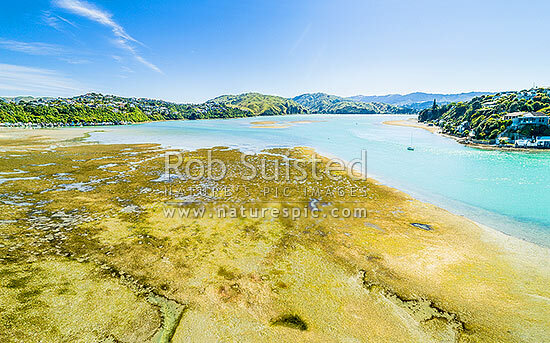 Seen from Paremata, Pauatahanui Inlet, Porirua City District, Wellington Region, New Zealand (NZ), stock photo.